Well where did that year go? I can't believe we are coming up to the summer holidays. It is now time for all to reflect on the years achievements and enjoy a well earned rest. It has been a fantastic year at Broadhempston and one that I will never forget. The children have done so much this year and I am very proud of what they have all achieved. The children and staff have worked exceptionally hard this year and it gives me great pleasure in being able to announce our 2017/2018 results. Please join me in congratulating the children, they can all be very pleased with what they have achieved this year. The children will be having a trial afternoon in their new classes on Friday 20th July in order to meet their new teachers and to get to know those in their groups from September. The school day will run as normal in as far as timings and I will be on the door ready to welcome everyone from 8.45-9.00am. The school day will end at 15.15 for Class 1, Class 2 and Years 4 and 5. The Year 6's will leave as soon as their 'Leavers Assembly' has finished at approximately 14.30-14.45. The "Year 6 Leavers Assembly' will start at 14.00 in the village hall. Parents are welcome to join us for this occasion and should make sure they are seated between 13.45 and 14.00 ready for a prompt start. Once the assembly has finished the children will be brought back to school, at which point the Year 6's will leave the school via the front door (parents please be there to meet them). The rest of the school will then get packed up ready for a well deserved Summer holiday and will be dismissed in the usual way at 15.15. Just a quick heads up for all new Year 4's from September - a new national test for times tables is being introduced! It is important that all children are fluent in all times tables (x2-x11) for this and to help them with the maths they will tackle during the year. Could all parents/carers please help by making times tables practice part of the summer routine! There are a number of great videos/''catchy'' songs on YouTube that could be used to help. We very much appreciate your help with this as it will make a big difference to you child's understanding of the maths curriculum. On Sunday 8th July 11 lucky members of Class 3 visited Sandy Park - home of the Exeter Chiefs. Whilst there they took part in an hours coaching session with members of the Chiefs coaching staff and then enjoyed watching a number of games in the 7's tournament, this included watching England play against Ireland. It was a great day and the children did the school proud! It was a privilege to welcome our 2019 cohort and their parents to the school during their transition visits. We look forward to seeing you all again when we return after the summer, ready for another exciting year. I would like to personally thank everyone who has supported the school by giving up their time, this year. It has been great to see so many friendly local faces in our school, it truly makes it feel like the village school it should be. I would like to say a special thank you to Gemma Walker who has volunteered nearly every week this year, helping Class 1 with reading and trips. Both the children and I appreciate this time given and I know it has made a big difference to them. If anyone would be interested and has some free time next year to volunteer in the school please do not hesitate to contact me. Well that's it for my last newsletter of the academic year. All that's left for me to do is thank you all for your continued support and to wish you all a very happy and relaxed summer holiday! I look forward to welcoming you all back in September and hearing all about your adventures. The summer term is well underway and we have lots of exciting things going on, both in and around the school. This year sees the second year of the Broadhempston Primary School - Activities Week. During this week all children within the school get to take part in fun and exciting trips all over the UK! There's something for everyone over the 5 fun-filled days!! This years Activities week runs from Monday 25th June until Friday 29th June 2018. All parents/carers should now have received a letter highlighting the activities your child/children will be taking part in and the costings. Keep checking bags this week, as extra details about each trip are being sent out and permission slips will need to be returned. We have a great range of activities from sailing to paddle boarding, London theatre trips to Dartmoor Zoo. On Friday, we will end the week with our annual sports day (weather permitting) at Headlands. A quick heads up - Parents/carers will need to wear their trainers ready for their chance to win the parents/carers race. So make sure you get training as it is your opportunity to win your child/children some extra House Points!!! Every point counts!!! Can I just say a big thank you for all of you for helping improve our attendance!! We are starting to move in the correct direction! 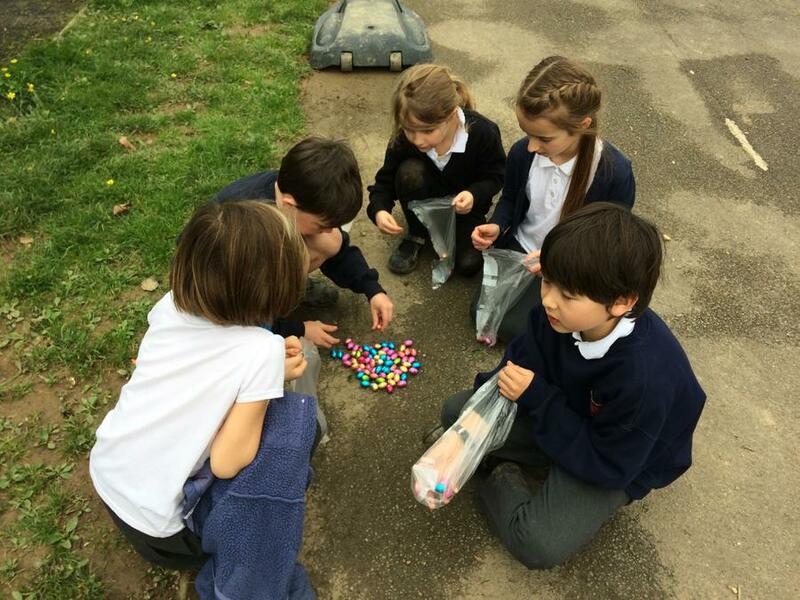 We have recently introduced our fortnightly class attendance award - the lucky class with the highest attendance gets 10 extra minutes of outdoor activities on a Friday afternoon! Well done Class 2 - keep up the great work! Well done to all the Year 1's for completing their phonics assessment- you are all super stars!!! Thank you all for your continued feedback on our forms of communication. It seems from discussions that the majority of people are now using the App as their main way of receiving information. It has come to my attention that the App does need updating regularly - please make sure that you check your phones app store for updates as this will make a difference to what you receive and can see. The App will continue to be used for the majority of our communications. There does seem to be a little confusion over P.E. for Class 2 and 3 so I thought I would clear up how this will work. A message will be sent out via the App on Wednesday afternoons, this will state which day (either Thursday/Friday) your child will have P.E. The reason we need to do it this way, is so that we make the most out of the good weather and get to Headlands as often as possible. Please be sure to have read the messages on the App. Rehearsals are well underway and the performance is starting to come together. Can you please make sure your child/children are rehearsing their lines. We will be looking to rehearse without scripts the week after Activities Week. Well done to those of you that took part in the Cross Country (at Haldon Forest) and Cyclo-Cross (at Stover), you all did yourselves and the school proud! Athletics club will continue to run for the remainder of the school year. Please keep an eye on the App as this will tell you where the session will take place. It could be that during the warmer weather a decision is made to run the session at Headlands, at short notice. Those taking part are receiving some great advice and are definitely brushing up on their key skills. I am sure that this will help them during our sports day events. Well done to all of you who took part in the basketball tournament at KEVICC's. This event ran over two weeks and it was fantastic to watch you all develop as players, in every game you played. It was a great team effort and you did the school proud!! Keep on shooting those baskets!! It is with great pleasure that I announce that the Year 6 will be taking a trip to London to watch Wicked: The Musical during our Activities Week. Thank you to those parents that attended the meeting regarding this trip, I hope it was useful! For any parents/carers that couldn't make the meeting and would like to discuss the trip please pop in and arrange a time with Mrs Carwithen in reception. Year 6's will get the chance to take part in the Bike Ability scheme and complete their Level 2 award. They will do those over a two day period and the course will allow them to be more confident riders on the roads around our beautiful village. Letters will be sent out over the coming days regarding dates and required equipment - so please check those bags. This scheme will be rolled out to other year groups in the new school year! On Friday 8th June children in Year 5 and 6 had the opportunity to jump on the school mini bus and travel to the Bovey Tracey Craft Festival. They all had a great time trying out a number of different activities. There was an opportunity to build Lego dinosaurs, learn how clouds are made, try a bit of weaving on a loom as well as creating nature art. All children thoroughly enjoyed themselves, some even managed to catch a live storytelling session. Thank you to Mrs Gracie for helping the school get involved in this great event. A big well done to our 'Little Riddlers' who entered their poems into the Young Writers - Little Riddlers competition. 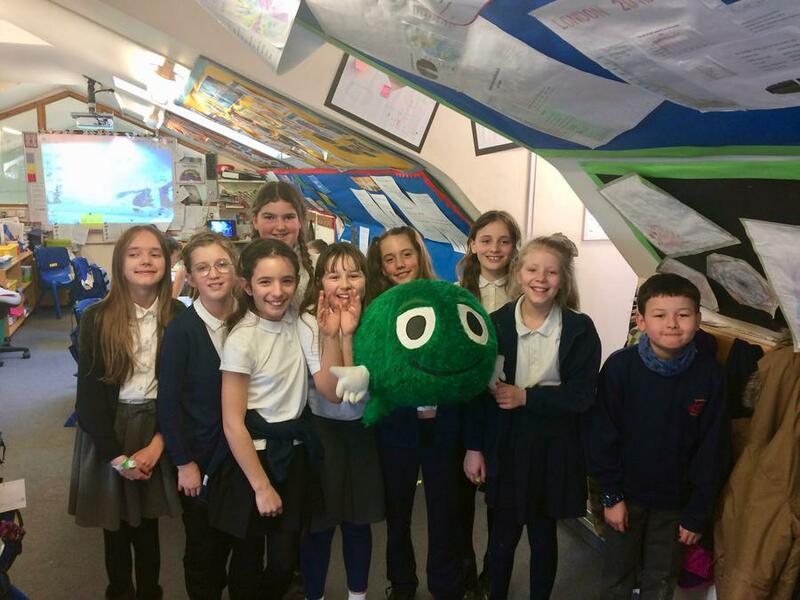 Over 15,000 entries were received across the UK and we had some great success with: Chloe, Toby M, Violet, Amie, Llewellyn, Max and Ffion as they are all now published authors! Congratulations to you all!! Adam (Year 5) produced a fantastic poem on sharks, which he submitted to the Parish News. It was great to hear that Adam won 1st prize in the Moira Mellor competition and received £100. Ellsa (Year 6) is an avid and keen rider and recently got the chance to ride and compete at the Royal Cornwall Show. Ellsa was part of a team of four and was riding a horse named Pepper, she took part in a number of different races throughout the day. Their team managed to win 5 events and came second in 3 others. Thijs (Year 5) recently climbed some of Mount Snowdon - well done! unfortunately Thijs didn't make it to the top but he gave it a good go!!! Well done to all of you - make sure you let us know of any more achievements that we can celebrate! Hello my name is Thijs and I was diagnosed with type one diabetes when I was nine years old. Diabetes is when a part of you body (pancreas) doesn't produce a liquid (Insulin) that helps to get the sugar from your blood to your cells. Every time I eat or drank any carbohydrates (Carbs) I have to inject myself with insulin, sometimes it can really hurt but I get used to it. Those are some good foods as you don't have to inject - YAY! I have decided to take part in a sponsored inflatable 5km run to help the NHS to find better technology to help people like me. To get enough money we need your help to raise as much as possible. Even 1p would help. I have left a sponsorship form in the school reception if you would like to sponsor me. After SATs, the Year 6's had a cook out in the woods. During their evening they learnt how to make hot chocolate using a 'storm kettle', built a campfire, kept it going all evening and then managed to cook their tea. It was a great evening and gave us all a chance to reminisce on the years gone by and to celebrate our achievements. It was a great way to end the SATs week!! Thank you all for a great evening! We now have 10 new Sport Leaders - all have been trained by Mr Lyndon from KEVICC's. They trained hard over a period of 6 hours and learnt a number of new skills and games that they could deliver at lunchtimes. All sports leaders have now sat down together and put a timetable in place, meaning their will be two Sports Leaders every lunchtime running activities for the school. Well done to you all for passing and I look forward coming out and seeing all the fun activities you have set up. I have managed to arrange a trip to the Mitsubishi Rugby 7's tournament at Sandy Park, home of the Exeter Chiefs. I have 10 available places and these will be allocated over the next week - 4 of these will be handed to individuals for continued hard work the other 6 will be raffled at the end of the week. Children will be collecting raffle tickets (given to them by staff for doing good deeds). The more raffle tickets the higher their chance of obtaining one of the 6 remaining tickets. As well as a ticket to watch the rugby they will also be having a training session with the Exeter Chiefs coaching staff. More details will be sent out to those successful in obtaining a ticket to this event. Welcome back! I hope you and your families all enjoyed the Easter break and that everyone is ready for the summer term to begin - I'm not quite sure where the time has gone! This term is a busy one for many of the children with KS1 and KS2 SATs, phonics screening and lots of various exciting activities for them all to take part in. Over the Easter period I have received a letter from the Rt Hon Nick Gibb MP who is the Minister of State for School Standards. The letter congratulates the pupils and staff on the high standard of achievement our children get in mathematics. Our current results and data put us in the top 1% of primary schools in England for our attainment in maths. I was thrilled to receive this letter and thought it important to share this information with you. It was great to see all the effort the children had put into their Easter gardens and dressing up as their favourite characters on the last day of the Spring term! It was a fantastic way to end what was a very productive and enjoyable term. We also really appreciated so many of you turning up to support the event at the end of the school day. It was very obvious that a lot of time and effort had been put into designing and making the gardens and outfits! Year 6 enjoyed a day out at Plymouth ski slopes on Monday 19th March. During their day out they took part in a two hour snowboarding lesson, went on the toboggan run, had a go at Sno-tubing and then braved the awesome Viper drop. We have some real snowboarding talent in this year group - well done to all of you for trying so hard and taking part - even when things seemed a little scary! This is still a top priority at present for our school. We are currently below our target, set out by Devon, in view of this the Governors and I have updated our attendance policy (click here to view or view document below) and would appreciate it if you could read this document fully, as it outlines our expectations. Attendance is of upmost importance in your child's education and I need your help to make sure that your child attends school on a regular basis. I have recently received the updated list of upcoming sporting activities for the summer term and have started booking places for our school to be represented at these events. As more are released I will continue to book these and let you know times, dates and venues. It was great to see so many of our children representing the school at the recent cross country event at Haldon forest - a fantastic location and event I am sure you will agree. Other events are being released on a weekly basis so I will update a list under our sports page. The school has recently bought a large amount of new sporting equipment allowing us to offer a greater variety of sports during P.E. sessions, at lunch times and after school. 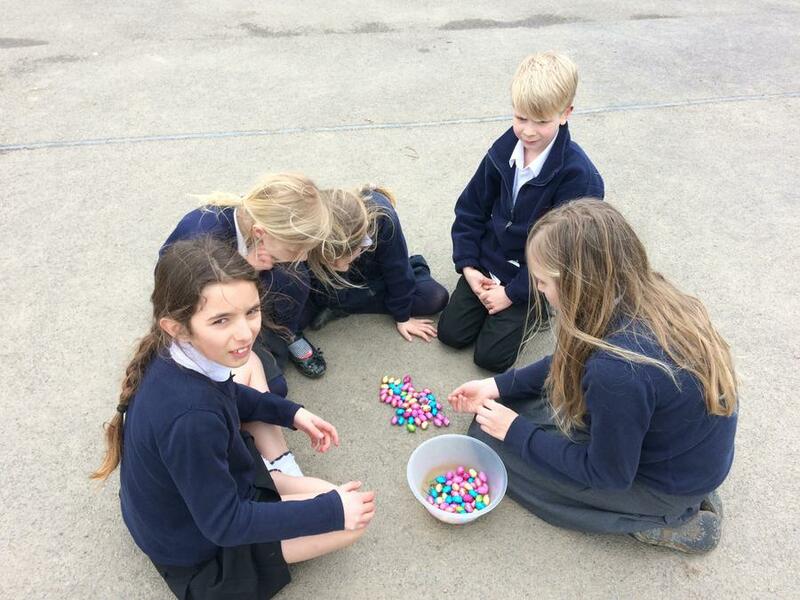 The children have been engaged in a number of these during lunchtimes and are really enjoying getting involved in new activities/sports. Some were so engaged that they even offered to help tidy the P.E. store and re-arrange it neatly - thank you to those individuals for their help! We are currently looking into what clubs we are going to be offering this term as well as dates/times of these. At present we have not finalised these but we are looking to offer choir, lacrosse, tri-golf and ultimate Frisbee to name but a few. I will update you on time and dates for these activities as they are finalised. Due to its popularity Athletics club will continue for both KS2 (Monday) and KS1 (Tuesday) and we are looking to extend this offering for the remainder of the term. Could I please remind parents/carers that we are a nut free school - please help us with this by making sure packed lunches and snacks do not contain any type of nut - this does include chocolate spread. That's it for now. Please check back soon to catch up on what we are doing and what is on offer here at Broadhempston Village Primary. Thank you all again for your continued support and please let me know if you require this newsletter in any other format. Well what a busy couple of weeks we have had, especially with those two snow days! It was great to be able to talk to the children about their experiences over those couple of days. It is a very busy time in school at present with lots of activities and important dates on the horizon. Mrs Carwithen and I have been busy updating different aspects of the website, making sure it is being used to its full potential. 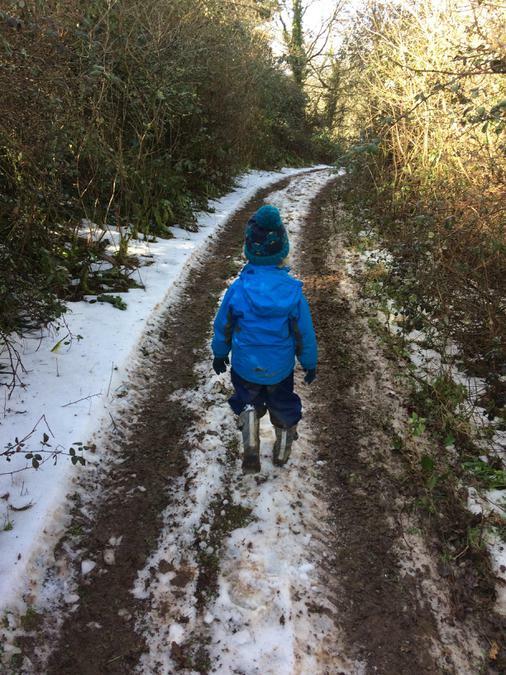 We now have a dedicated Outdoor Woodland Education page which is being updated with information and pictures of your children enjoying their time at the Beacon (click here to see this page). I have also been busy updating the E-Safety page with lots of useful information and key documents to help you keep your child/children safe online (click here to go to our Safeguarding page). We will continue to make sure the website is updated regularly with key information, in particular the latest news aspect, so please keep checking back. On Tuesday 20th March 2018 from 15.30-16.15 Mr Turner will be hosting a 'Keeping your child safe online' talk for parents. If you would like to attend this event then please contact Mrs Carwithen. It is that exciting time of year again when the sun starts to shine (hopefully) and we celebrate the Easter period. This year we will be having our Easter afternoon on Thursday 29th March 2018 but this year it will be slightly different. 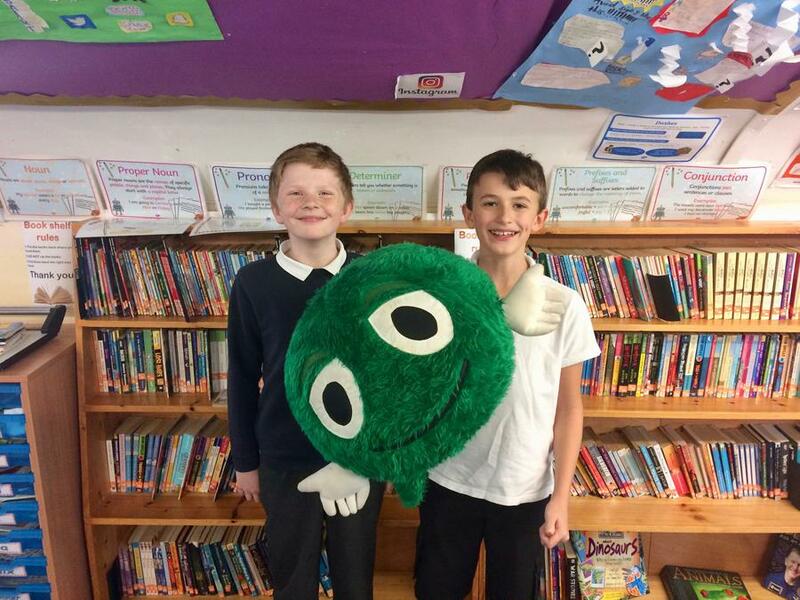 As you are probably all aware Thursday 1st March was World Book Day but unfortunately due to the adverse weather we were unable to support this fantastic event. In light of this we will be incorporating World Book Day into our Easter celebration - but how I hear you ask! On Thursday 29th March children will be allowed to dress up as their favourite character from their favourite book. We will be swapping our Easter bonnet competition for an Easter garden decorating competition. Adult supervision is necessary but that does not mean you make it for them! We will be hosting a competition for the best dressed in each class and obviously for the best Easter garden. Family members will be invited to join us to look at the fantastic creations and to watch the award ceremony from 14.30. Children can then be collected from school at the normal time of 15.15. As you will be aware by now athletics club starts on Monday 12th March 2018, for KS2 and Tuesday 13th March for KS1. This is a great opportunity for the children to learn and improve skills in many different areas from qualified athletics coaches. Sessions run from 15.30-16.30 in the Village Hall. Children will have a snack at school before the session and will then be escorted over by staff/coaches. We ask parents to pick their children up from the Village Hall promptly at 16.30. Miss Nicolson and the children have been busy organising and preparing for our 'Celebration of Music' on Tuesday 20th March in the afternoon. I will update the website and the school app with timings of this event after our practise tomorrow afternoon. All parents/family members are welcome to join us for this event. Thank you for all your help in making sure your child/children have the appropriate uniform (click here to see our uniform expectations). Please remember that you can buy uniform from our online supplier, link can be found above. We have seen a rise in the number of individuals wearing nail varnish - could I please ask that children do not wear nail varnish to school. As from Monday 16th April 2018 our new attendance policy will be in place and a letter will be sent to you highlighting key changes. The policy will also be available to you online and I would urge you to read this important document for your information. The purpose of the policy changes is to make sure all parents and children are treated equally. Thank you to those of you that are making sure that your child/children are in school and arriving on time on a daily basis. There is still some work to be done in this area and I would appreciate your continued support with this. Thank you all for your support and I apologies for the inconvenience caused during the school closures. As I am sure you can appreciate it was a decision that needed to be made in order to keep the children, staff and yourselves safe. All children from Year 1 to 6 had the opportunity to attend a talk on the 'Stay Safe, Speak Out' programme. It was great to see the children actively involved in the presentations and starting to realise how important it is to share their problems with a trusted adult. The Year 5 and 6 children also took part in a workshop during the day and it was clear how confident they were when talking about the topics raised. If you require this newsletter in any other format please let me know.